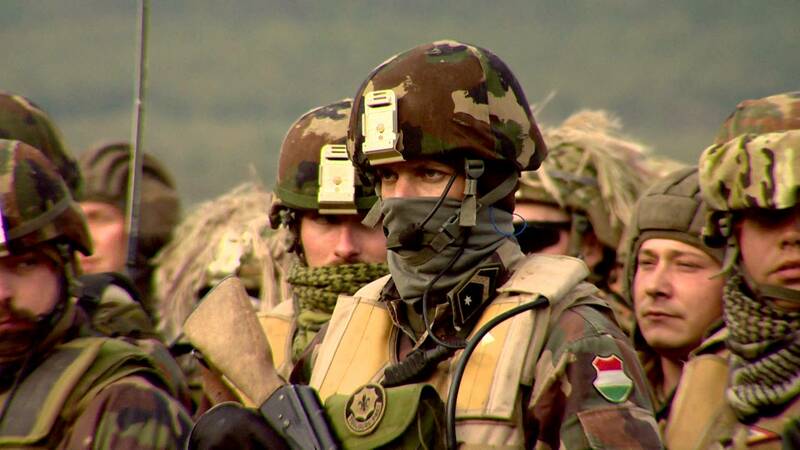 The multinational distributed simulation exercise leaded by the Hungarian Defense Forces took place from September 26th till Septemnebr 29th, 2016. Maribor/Slovenia (deployed Marcus workstation set). The Training Audience came from the Hungarian Defense Forces, the Slovenian and Croatian Army, simulating a set of common operations based on a Baltic Sea terrain and the scenario was related to multinational support operations under the umbrella of NATO. In Croatia, Karlovac, Role Players were officers and officials of the Croatian Army, who were trained in using Marcus Simulation for simulating their missions and tasks by Artifex Ltd. The total training time was five working days, just one week before the exercise execution phase. The Croatian officers became aware of using all functionalities and capabilities of Marcus Simulation and expressed their satisfaction for the way that Marcus can support realistic simulation and the ability to provide an easily adaptive working environment. On the other hand, this exercise proved that the Hungarian Defense Forces are capable of conducting multinational – multiresolution CAX using the unique capabilities of their Simulation Center. Hungarian MoD role players, Marcus Simulation and Artifex Ltd’s assisted the Training Audience and CAX planners to obtain high level realism training and to achieve all CAX and Training Objectives. monitoring and system maintenance support. For once more, Marcus Simulation was proved as a reliable and efficient tool for military tactical and low operational level training. Due to its remarkably easy – to – use menu and its capabilities to simulate all kinds of land operations realistically and fast, Training Audience and CAX operators had the chance to understand the simulated operational environment and the tactical maneuvers and get a full picture of the results of their missions according to the MEL/MIL of the exercise. Now, the new challenge for Marcus simulation comes from Greece, where soon enough a project that involves the Hellenic Armed Forces will be decided. For more info regarding Marcus Simulation and Artifex Ltd, you can visit www.artifex.hu.